British soul music has a long history tied to the search for identity, and with his third album “Just Being Me” soul prodigy Myles Sanko adds an essential chapter to this musical journey. Featuring eleven new compositions, “Just Being Me” explores the inner self and transcends stylistic borders. With its rich instrumentation and colorful arrangement it speaks out loud as a proper soul album should. With his true, emotional and straightforward style, Myles Sanko is able to connect past, present and future. One key element of his strategy was to take business in his very own hands. Without any distribution or marketing in 2013 his debut mini album “Born In Black & White“ sold so well that Myles instantly knew he was on to something good. His second album, “Forever Dreaming” was entirely crowdfunded by his fans, and after its release Gregory Porter asked Myles to join him as the opening act of his tour. 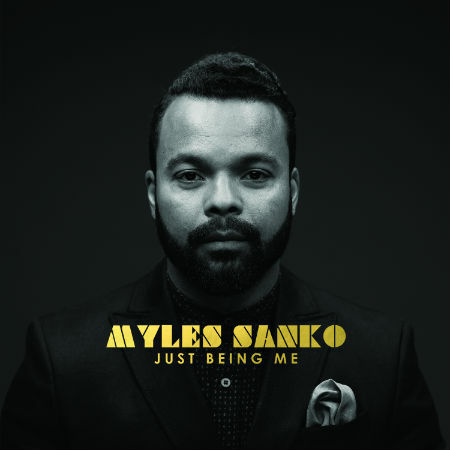 With “Just Being Me” the time has come for Myles Sanko to come home. It’s an album about love, hope and politics, and has a piece of him in every track. “Freedom“, an instrumental prologue in the style of Donny Hathaway, opens the album and flows seamlessly into the title track. “Promises” is what soul is about: don’t believe the hype, have a look what’s behind empty promises. “This Ain’t Living” is accompanied by some of the most delicate orchestral soul-jazz this side of Matthew Halsall of Cinematic Orchestra. While “The Sunshine” is a quiet celebration of the love for the sun. “Land Of Paradise” carries a message of hope and confidence in the lyrics, led by a hypnotizing brass section, think Gil Scott-Heron or The Last Poets walking through the streets of Manchester or London: “I Belong To You“ looks back on classic, era-spanning soul ballad artistry, think Bill Withers teaming up with Maxwell and you are quite near. “Forget Me Not” stays firmly in up-to-date R&B idioms. “Missing You” brings down “Just Being Me” in an Bobby Womack style, acoustic soul, while “Empty Road” is an emotive ending to a wonderful story. “‘Just Being Me” is a departure from the past and the beginning of a new journey for Myles Sanko. And his fans and public worldwide can’t wait to embark on it with him!